41 Crowfoot Rise NW, Calgary, AB T3G 4P5. Do you have dental emergency in Calgary? Receive Dental Care at Expressions Dental™ in just 1-2-3 steps: Call us - Request an Emergency Dental Appointment - Get examined at the next available appointment. Schedule your consultation at Expressions Dental™ to get advice on complete dental care. Expressions Dental™, located at NW Calgary offers you dental health services to help make your smile a healthy one. Our General dentists provide dental treatment on an emergency basis, invisalign braces, and children's dental care. The team of our general dentists at Expressions Dental™ Calgary strives to make your dental visit a relaxing experience. 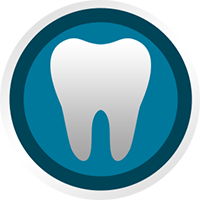 We provide comprehensive dental treatment for your dental problems. Expressions Dental™ take care of everything from toothaches to tooth removals. **At Expressions Dental™ Clinic Calgary, our dentists value your dental health care needs and are available to take care of you between 7 AM and 9 PM. (Subject to dentist availability) Any dental emergencies after 9 PM will be seen at the next available appointment the following business day. Invisalign may be an option to align teeth that are not positioned properly using invisible aligners. The technical term for this problem is “malocclusion”. Whether you have crowding or spacing in between your teeth, Invisalign may be able to straighten your teeth without anyone even knowing that you are going through any kind of dental braces treatment.